U. S President Barrack Obama’s visit revealed that India and U.S. are in good foreign terms. From past few months, India has again started violet acts on Pakistan border that has taken many lives. In this respect now, Pakistan is seeking help of U.S. to stop India from doing violent acts on Pakistani borders. Inter Services Intelligence Chief Lt. General Rizwan Akhtar visited Washington reportedly. 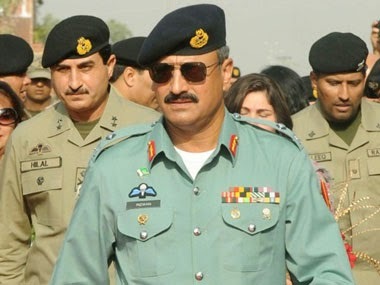 “Pakistan’s greater role in a settled Afghanistan after the NATO withdrawal and denial of space there for covert Indian activities against Pakistan remains the focus of director-general ISI Lt. Gen. Rizwan Akhtar’s discussions in the US,” reported by national mainstream media of Pakistan. “During his first visit to the US as DG ISI, Lt. Gen. Rizwan (Akhtar) would share the details with Washington of how India is trying to weaken Pakistan from the western front by extending all-out support to the Tehrik-e-Taliban Pakistan,” the report added. COAS Gen Raheel sharif has also warned India of its violent acts on line of control. Indian Foreign Secretary S. Jaishankar’s visit to Islamabad s expected in few days and such warning by Sharif of ‘Befitting response’ to the provocations by India is under discussion by diplomats and peacekeepers. He said it while visiting villages near border who were affected by unprovoked Indian shelling. Reason for this was to end Indian activities against Pakistan that harmed many villagers near Sialkot working boundary. Foreign office spokesperson Tasnim Aslam had earlier said that Islamabad would discuss all outstanding disputes including Jammu and Kashmir, Sir Creek, and Siachen with S. Jaishankar who is due here on March 3 for a two-day visit to hold talks with his Pakistani counterpart Aizaz Ahmed Chaudhry. Sources also say that Gen Raheel and DG ISI visit to U.S. is to shift balance towards Pakistan and end Indian violent acts towards Pakistan. DG ISI met high military and diplomatic officials in U. before leaving to Pakistan. Violation of Indian ceasefire may worsen the Indo-Pak relations, army, diplomats are trying to handle the matter diplomatically, and Jaishankar’s visit to Pakistan may help to resolve the disputes.